Condiments can make or break a meal. They’re the addition that saves a dry sandwich and the extra touch that spices up a bit of sushi. No matter what you’re eating, there always seems to be a condiment on the side that is there to at least improve a dish, if not save it entirely. It’s something that has been done throughout history — something that’s immediately clear as soon as you take a deeper look at where your favorite condiments come from. This is how your favorite condiments came to dominate your plate. Ketchup is the most ubiquitous condiment in America. It’s on your fries and burgers, mixed into your currywurst sauce, and squeezed onto your hotdogs (unless you’re in Chicago). Its appeal is easy to understand: It has a savory kick from the umami-rich tomatoes while also having a fair amount of acidity (depending on the brand) and sweetness. Like some of the best things in America, though, it’s far from an American invention. 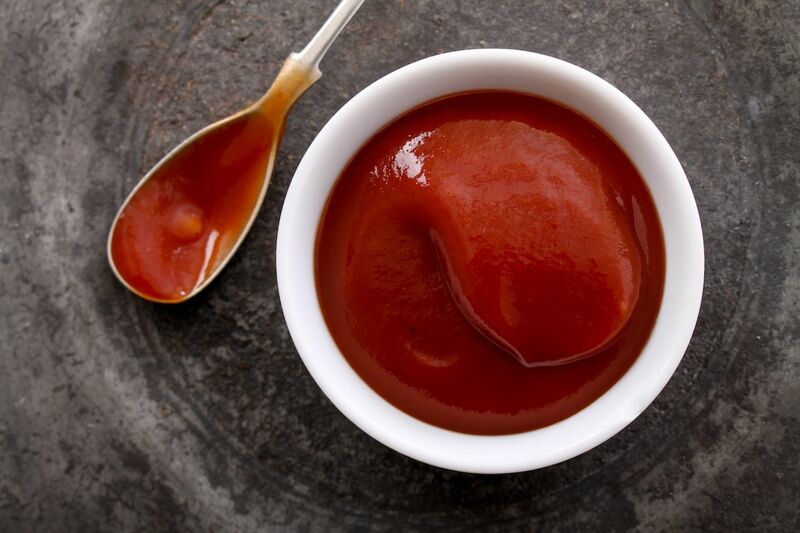 Ketchup comes from the Chinese word kê-tsiap, which is a fermented fish sauce from Vietnam. From there, it made its way to England in the late 1600s. A recipe was published in 1732 with the title “Ketchup in Paste.” Those early ketchups tried to emulate the savory fish taste and used anchovies and mushrooms. It drifted toward the ketchup we know today with the addition of tomatoes, a New World crop. It was an Industrial Age staple and one of the first packaged foods. Heinz opened in 1869 in Pennsylvania and is largely responsible for turning ketchup into the squeezable, adaptable (Mayochup, anyone?) condiment that we know today. Mayonnaise is either the best or worst condiment, depending on who you ask. Some won’t eat fries without some mayonnaise while others point to mayonnaise as the root of all that is unhealthy in America. The egg-based condiment was (probably) first created in Spain, although there’s some tension over whether a French chef actually invented it during the Seven Years’ War after winning a battle on an island that’s now part of Spain in 1756. According to legend, Duke de Richelieu’s chef whipped up the first mayonnaise using eggs and cream for a victory meal. Spanish chefs, however, also lay claim. 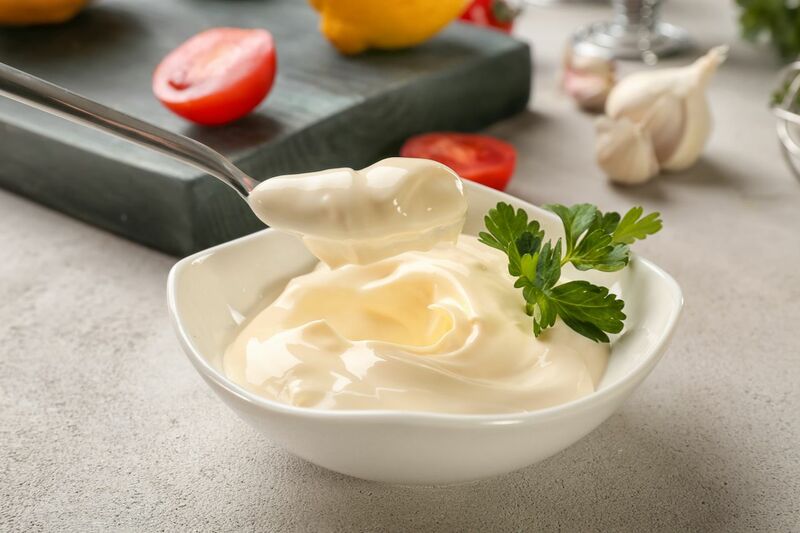 Regardless, as you might be able to tell from the name, mayonnaise was popularized by the French and came to America as French cuisine. It was initially an ingredient for the upper class, and rich New Yorkers mixed it into their salads. With industrialization came the rise of mayonnaise as a working man’s sandwich ingredient and the fall of luxurious handmade mayonnaise. Mustard is the OG condiment. 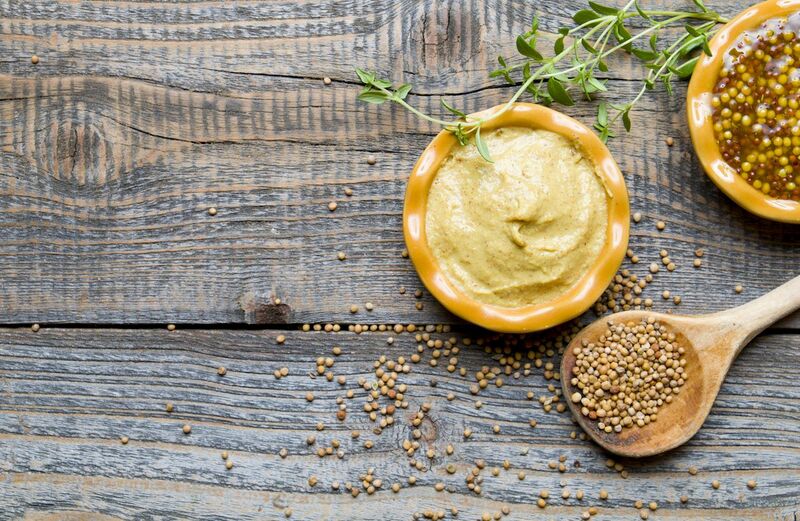 Mustard seeds have been found in Egyptian tombs, and evidence of its use as a condiment goes back to Roman times. Ancient Romans ground the seeds into a paste and mixed it with wine or grape must (the skins and seeds leftover from fermentation) to spread on whatever they were eating. French monks did the same. The word mustard comes from the Latin for burning wine, mustum ardens, which is likely a reference to the spicy nature of mustard seeds. That spice is part of the reason why mustard has been used as everything from a stimulant to a pain reliever to a food enhancer. Local mustard can be found in pretty much every country with a European influence, and most of it is a far stretch from the spicy stuff that made it popular in its early days. There’s French Dijon, English mustard, American yellow mustard, and the many (many) types of German mustard. You’d be hard-pressed to find a sushi restaurant that serves up its rolls without a little scoop of wasabi. While it’s generally relegated to raw fish in Western cultures, it’s hard to imagine the rise of sushi restaurants without it. 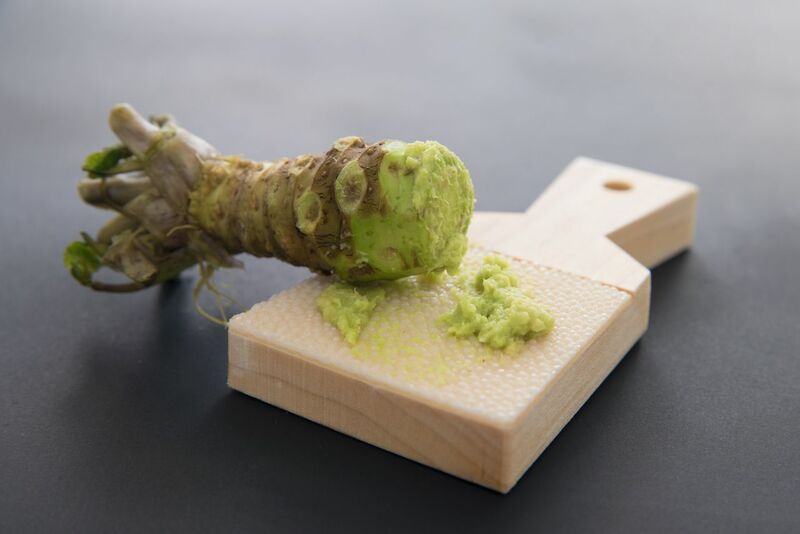 Wasabi dates back to Japan’s Asuka period between 538 and 710, and there’s written evidence that it was used alongside other medicinal plants. Its popularity is tightly linked to medicinal properties up until the early 1800s in the Edo period. At that time, it transitioned from medicine to sushi’s constant companion. Wasabi knocks out the fishiest of fishy smells and helps keep bacteria at bay — perfect for raw fish but especially good for when that fresh fish isn’t actually all that fresh. Today, anyone who has walked into a sushi restaurant is familiar with the green paste made from powdered wasabi or fresh-grated wasabi. Without barbecue sauce, there would be no passionate regional barbecue debates. Cuts of pig or cow would just be wood-fired meats without the zesty, ever-adaptable, wide-spanning range of barbecue sauces. According to the anthropologist Zora Neale Hurston, barbecue comes from Arawak Native Americans in Florida. It was called babacots, which the Spanish interpreted as barbacoa and the English as barbecue. Hurston writes that slaves were the ones who added a sour-spicy sauce to slow-cooked meats, and it spread from state to state, adapting to what was regionally available and creating the large category of barbecue sauce we know today. The Southern Foodways Alliance links barbecue sauce to the food traditions of slaves of African descent and the British. The British used butter and/or vinegar to keep their slow-cooked meat from drying out. Peppers and spices came from slaves from the Caribbean. 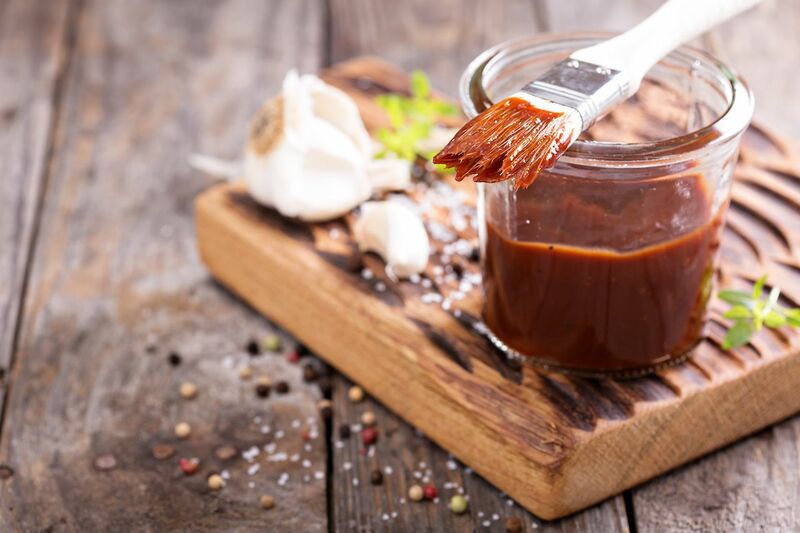 Today, barbecue sauce is a regional ingredient that’s inspired plenty of debates in the South. You’ll get something different depending on whether you get your barbecue from Alabama, North Carolina, Missouri, Texas, or Tennessee. Unlike every other condiment that the US uses and abuses, barbecue sauce is truly an American one.